(Naperville, IL. – November 20, 2018) – Race Director University, the first national certification program for race directors, will be joined by Orbiter Race Timing Systems for the 3 Day Seminar, Thursday, November 29 – Saturday, December 1, 2018. Orbiter Timing Systems’ side antenna product uses space age technology to position the transponder when it passes a way point or Start Finish. This breakthrough technology allows for greatly lower costs, and times any human powered event without mats. Gregory Stewart, President and Founder of Orbiter Race Timing Systems, will be covering various segments each day related to race director management, race timing, logistics, and operations. “I think that this seminar series is a great opportunity for our market who are more likely to attend a developmental program,” said Gregory Stewart, Founder, and President of Orbiter Race Timing Systems. 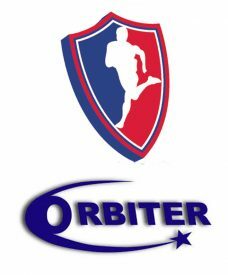 “This is a great opportunity to be working with Orbiter Race Timing Systems, and it will benefit our attendees this year because it will help them bridge gaps in the road race market where they can learn more about logistics, and nothing says more about that then for them to learn how to time their own events,” said Gregory J. Evans, President and CEO of Race Director U, LLC. “When a novice or a newcomer attends a running mega-conference they are more likely to be influenced to subscribe to suppliers who challenge them to focus on their services for convenience (conventional method) and adoption of their recommended solutions and guidelines,” Evans said. Race Director University and Orbiter Race Timing Systems, are the true game changers. Technical equipment shouldn’t be intimidating, and anyone can become a race director. Orbiter is so easy to use “Anyone Can Time a Race.” So easy to use, the system is rented to first time users. Orbiter Race Timing Systems wants to be identified as a premier timing platform that prescribes to the philosophy that anyone can time a race, and that race managers can learn how to be their own timer. “Physical education teachers, parks and recreation employees, running club associates, parent teacher organizations members, and military recreation staffers have been using our products and services for years, and now our products will meet the needs of others in the Midwest and elsewhere who have been in search of more affordable and cost saving ideas. I will bring my equipment, show race managers how it can be used and discuss opportunities for them rent or purchase this equipment,” said Stewart. The registration fee for each certification program is $150, without the online course materials. Add the online resource material for $79, a savings of $80. The registration fee for all three days, which includes the online content for all programs is only $599.00, a savings of $328.00. The cost for the two day Associate Race Director Certificate is $425.00, and it also includes online content for this program. Registration is only available online at Race Director University. The Associates Certification program is a part of the live seminar training and will not be available online. The seminar is scheduled at the Chicago Marriott Naperville, 1801 N. Naper Blvd., Naperville, IL. 60563. Rooms on average in the area are between $89.00 – $149 a night. Race Director University is the first national certification program for race directors, established in 2012. Road Race Management is a non-regulated industry. There are no academic degrees offered to signify an Individual as a “race director.” Training and development is a lifelong learning skill; there is no finish line.